Character creation works like it has previously in Genesys: Pick a species or archetype, then pick a career. Shadow of the Beanstalk adds a few elements, and a small amount of additional mechanical detail. The first step, Background, is entirely a flavor element, but starts providing some information about how the characters will interact with the setting. The choice between “Modern New Angelino” and “Disenfrancisto” is, in essence, a choice between someone who is engaging with and beholden to the corporate masters of the setting, or someone who is on the fringes of that society. While there are no rules attached to this, per se, this is an important choice for players and game masters alike. Archetypes get back into the familiar trope of “races”, and Shadow of the Beanstalk approaches this in a very similar way to Interface Zero. First archetype is the Natural, a baseline human. Then you have a Bioroid, which is more similar to what would be called an Android in other settings…an inorganic, artificial lifeform. Next is the clone, an organic, artificial lifeform, at least a little bit similar to Interface Zero’s Simulacrum. There are cyborgs, modified humans, G-Mods, genetically augmented humans whose alterations can range from mild to wild, and finally Loonies, who have grown up on the moon and are adapted for low-gravity environments. Just like in other Genesys books and in FFG Star Wars, each archetype modifies your starting attributes, Wound and Strain Thresholds, and Experience. Additionally, some archetypes start with a skill rank or two, or a relevant talent. Careers are also similar to other Genesys books, with a list of career skills and some choices to make for equipment (though you can always just start by spending 1000 credits instead). Also with each career are a list of suggested Talents from the early tiers, something that wasn’t included in Realms of Terrinoth but is a useful addition here. Like other modern Cyberpunk games there’s a spread of careers outside of your usual tropes, including academics, couriers, corporate heirs and heiresses (called Risties), techies, and roughnecks. The more typical careers cover soldiers, bounty hunters, hackers (called runners), investigators, and con artists. The next sections are skills and talents, expanding off the core mechanics from Genesys. There are only five skills added, continuing the pattern from Realms of Terrinoth of leaving the skills mostly untouched. Like Terrinoth, there are Knowledge skills added. Additionally, Computers has been split in two, which I’ll discuss a bit more with chapter 3. Talents are supplemented more robustly, with 59 new talents in addition to roughly the same number being pulled over from the core rulebook. The talents are those which make sense in this setting, including very setting-specific ones like background talents for Disenfrancisto and Worlds War Vet, as well as ones suited to any modern game, like Parkour and Suppressing Fire. The last bit of character creation, and to me the most interesting, is the faction rules. The way the faction rules are set up here is to be a bit of motivation mechanics, not unlike Obligation from Edge of the Empire. Faction rules are not and are not intended to be rules on organizational dynamics like those from Reign. I say that because I went in wanting them to be that, and being disappointed that they weren’t. That said, what they are intended to do, they do well. Each faction has a set of favors, broken out into Small Favors, Regular Favors, and Big Favors. In character creation, you have the option of owing a favor to a faction, in exchange for additional XP or money based on how big the favor is. The favor economy gets a bigger treatment in the next chapter, but for now, favors are the primary way to hook your character into a faction, and as such the faction descriptions are contained in character creation. The factions run the gamut, including four megacorps, three types of criminal entities (organized crime, gangs, and activist/terrorist groups), three legal enforcement entities, and one, arguably, cultural bloc (Loonies). The book provides some helpful description about the nature of “belonging” to a faction which illuminates why the rules are written the way they are: baseline starting characters aren’t expected to have enough influence to have an impact on any faction’s high-level plans. This is totally fine and in-genre, but I wanted to see a bit more from the material. Equipment and Vehicles picks up right from where character creation leaves off and goes into more detail on the favor economy. For the most part, favors are exchanged on an in-kind basis: small for small, big for big, and so on. The rules cover trying to trade up for a bigger favor as well as trying to return a favor with a small one, and using advantage and threat on rolls to do that. Favors are intended to be tracked, so make sure there’s space for that on your character sheet. While I note the lack of tie-in from favors to social combat, covering the informal economy at all is something more Cyberpunk games should do. Most of the equipment in the chapter is broadly what you’d expect from a near-future sci-fi game. The weapons include monocrystalline blades, massive exosuit-portable support guns, and everything in between. Armor ranges from concealed under clothing to power suits. Computers and tools cover every skill, and of course there are drugs. I will note I appreciate that the drugs move away from Cyberpunk 2020’s weird “just say no” undertones which meant that every drug, no matter how innocuous, had crippling side effects. Pixel and Stim could easily be relevant to a character, unlike things like Smash and Black Lace in Cyberpunk 2020 which failed the risk/reward test in all but the most desperate situations. Including a hallucinogen with no positive mechanical benefit (Low-Fi) is weird, but in-genre. Body Modifications is a point of interest for Cyberpunk aficionados, and Shadow of the Beanstalk delivers, at least to a further degree than any of the Star Wars games did. There are cybernetic modifications and genetic modifications, 11 of the former and 10 of the latter. The cybernetics list covers some familiar ground, including bone lacing, cyberorgans, cyberlimbs, and of course the interface jack. G-Mods, the genetic modifications are technically safer than cybernetics- every cybernetic enhancement reduces strain threshold by one- though there is still a chance of mutation and strain or wound threshold reduction with a G-Mod installation. The G-Mods go a bit outside of the typical cyberware range, and include follicle control and tooth buds in addition to typical enhanced strength and enhanced healing modifications. Both lists are missing many of the more cosmetic options found in earlier Cyberpunk games, like tech-hair and subdermal watches, the kind of stuff that helps customize a character and make them unique. The options here are strictly business; even follicle control is framed as a disguise enhancement. Next sections are item attachments and vehicles. The item attachments section is similar to the Star Wars games, providing ways to enhance and customize weapons and armor. The options are well-done, though none are particularly noteworthy. 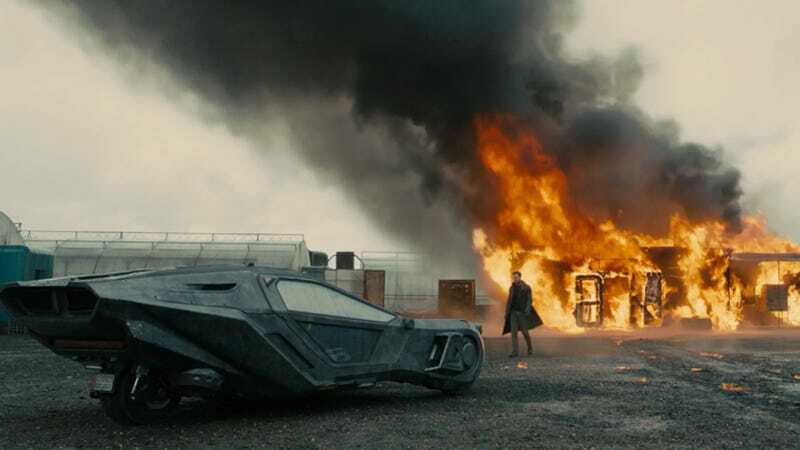 Vehicles are wide-ranging and flesh out some of the technology assumptions of the setting; the ‘hopper’ is the transport of choice for those who can afford it (think the Peugeot in Blade Runner 2049), while there are still ground vehicles around. Shadow of the Beanstalk also has a fair selection of spacecraft, fitting for the part of the setting which is focused on the Beanstalk and the Heinlein lunar colony. Other than the spacecraft, the vehicles section is similar to weapons, armor, and tools: nothing is missing, but nothing stands out. Now, about 120 pages in, we start to get to the interesting stuff. Shadow of the Beanstalk’s Network rules harken back to a day in gaming when the hacking run was supposed to be as detailed and interesting as meatspace combat; this is a paradigm which was attempted and largely failed with Cyberpunk 2020 and Shadowrun. As I noted in my Genesys review, putting hacking in the same structured time as combat could solve some of the problems faced by these other systems, but as always it depends on the execution. The Network Encounter Rules are preceded by a few pages of fluff outlining the role of the Network and the Brain-Machine Interface in the Android universe. Fluff like this is necessary because, as computing devices become more and more ubiquitous in our real world, this “netspace combat” paradigm becomes more and more dated. There’s a lot of good stuff in here, actually…the Shadow Net is a simplified but not entirely incorrect parallel to the dark web, and there’s good discussions on the implications of the Internet of Things. But, despite it all, the fiction in sidebars is still discussing the idea of “running the net” as a visual exercise, with physical representations of programs and security subroutines. Hoo boy. What about the rules? The rules I quite like. Each computer system is diagrammed out as a server with sub-systems controlled within. Each subsystem has its own security protocols and authentications, called ICE (because we can’t possibly give up the chance to have our hackers go up against Black Ice, now can we). The system also has an access point, which while not defined mechanically, implies that the GM should understand how a character can get into a system, whether that’s by finding an exploit, cribbing a username and password, or physically showing up to the location. In structured time, the runner can attempt to access a system, break ICE, or issue commands and run programs on a compromised system. The Sysop, who’s running the system, can trace users, sweep for intruders, and try to lock out intruders, as well as run programs. Both roles can also choose to just try to damage a system they have access to. As mentioned earlier, the Computers skill in Shadow of the Beanstalk is split, and this is literally a hacker/sysop split, with one skill used for intrusion and the other for defense. The rules end up creating an interesting framework for adversarial hacks, and can definitely keep a hacker busy while the rest of the team is sneaking past security cams and dodging bullets.The continued use of the “visual net” metaphor looks stranger and stranger, though, even if the rules are much better than older systems which were built the same way. The setting of Android is an intriguing one, but isn’t covered broadly in this book; that’s more the job of the system-agnostic Worlds of Android book which Fantasy Flight released earlier. That said, New Angeles is the setting of the Android board game and provides a great core city for the setting. New Angeles is a free city-state located in Ecuador, and as befitting its role as the base city for the eponymous Beanstalk, it has eleven districts on Earth and one on the moon. The book goes into every district in detail, also providing a smattering of important NPCs, statted out as nemesis-level adversaries. There are also dozens of interesting locations, which do lean in the direction of meeting spots and player character-relevant retailers, but still run the gamut. The Beanstalk runs from Earth to the Challenger Planetoid, and both the Midway Station and Challenger itself are covered in the setting material as well. While there’s an overview map of New Angeles, the maps of Midway and Challenger give a lot more detail of the relatively smaller entities, and are just neat to look at, to boot. Heinlein, the lunar 12th District of New Angeles, gets the same treatment, important for a colony so sprawled across the surface. Unsurprisingly, these three spaceborne locations get a lot of love dedicated to them, including some history which ties back into the aforementioned Worlds War. While I didn’t go into much detail about the specifics, rest assured that there is more than enough information to base a comfortably long campaign in New Angeles. The Adversaries help with that as well. Science Fiction isn’t a genre typically associated with good bestiaries, though both Eclipse Phase and Interface Zero did some work to change that. Shadow of the Beanstalk provides a solid number of statblocks for human-type adversaries, as well as a number of nonhuman creatures like cyberdogs, “modstrosities”, and a teacup giraffe, which has me scratching my head but is great flavor. There are also drones, clones, and bioroids, as well as a small section of oddities which don’t really fit into any of the above categories. The overwhelming majority of these blocks are human or at least a playable archetype, but the variety of stat blocks is also intended to allow a GM to build encounters for combat, vehicle chases, and network runs and cover a range of difficulty levels for each. While I have nits to pick at how the adversaries are organized (a GM would likely be better served by headings for difficulty or encounter type rather than human, clone, bioroid), I’m a fan of the number and variety of pre-statted options here. The Game Master section is largely just advice. After reading Technoir and more PbtA games than I can count, I’ve come to expect something to help a GM with emergent gameplay and encounter design. Not so much here, though I admit the advice around running different societal strata and the advice about how the implied structure of a science fiction game is different from a “traditional” RPG (read: D&D) is very useful. Similarly, in this chapter is a section on building out social encounters; it’s assumed that they will be significantly more important when playing this flavor of Genesys than they would necessarily be in something like Realms of Terrinoth. The Game Master section has one structured GM tool, the Adventure Builder. The Adventure Builder provides 7 hooks, each with a primary goal, some challenges, and a twist. Each of these hooks would provide, depending on how many challenges you hit, one to two sessions of play, and they serve as good examples of how to structure a sci-fi/Cyberpunk adventure. They are very setting-specific, but with only seven of them they’re really only intended as a jumping off point. The Adventure Builder also provides some inspiration for taking those hooks and expanding them, first through escalations, and then through climaxes. There are five each of escalations and climaxes, and both of them serve to make the adventure a lot more complicated. Raising the stakes will make the PCs pay attention, and these points also provide great inspiration on how to reinject urgency to or end a campaign, even if you didn’t use any of the initial hooks. While the Adventure Builder is still mostly narrative-based, it provides structure to adventure design and that makes it quite useful. Shadow of the Beanstalk follows closely in the footsteps of Realms of Terrinoth, and makes small and modular expansions to the Genesys ruleset without doing anything particularly dramatic or additive. On one hand, this means you need not worry about missing anything if you don’t get this book. On the other, it’s hard to say what then makes the book a must-buy. If you want to run a game in the Android universe, this will of course do that out of the box, and it’s a great splat for that setting specifically. For a book that’s supposed to cover running science fiction stories in Genesys, though, it’s very light. The two rules additions, factions and hacking, are small expansions to what’s in Genesys core. The cybernetics section is only slightly expanded from what was in the FFG Star Wars books, and the guidance on adjusting campaign power level or social strata is not rules-facing whatsoever, despite the dramatic changes one would expect. Ultimately, fans of Cyberpunk, Transhumanist, and other sci-fi games will want this book because it gives a baseline of sci-fi guns and armor that’s different from Star Wars, and does the same for all the other equipment. For fifty dollars, though, and with Worlds of Android already in print, this game doesn’t do a whole lot to justify its asking price. While Shadow of the Beanstalk and Realms of Terrinoth are similar in size, Terrinoth’s Heroic Abilities, crafting rules, expansions of the magic system, magic item rules, and much more monstrous bestiary provide it with a lot of utility for a fantasy GM. Shadows of the Beanstalk is well-executed, but provides too little to the aspiring rules hacker and ultimately sits in the shadows of both Worlds of Android and the entire FFG Star Wars ecosystem. Shadow of the Beanstalk is available on DriveThruRPG and at fantasyflightgames.com.